The offshore wind farm Sandbank with an installed capacity of 288 megawatt (MW) is now officially inaugurated. It is the latest cooperation between Vattenfall and Stadtwerke München (SWM) and the 72 wind energy plants will provide 400,000 German households with renewable energy. Yesterday, July 23, 2017, Vattenfall and Stadtwerke München (SWM) officially put the offshore wind farm Sandbank, which is located 90 kilometers west of the island of Sylt, into operation. Sandbank is the second great “Energiewende”-project (after Dan Tysk), that Vattenfall and Stadtwerke München have now realized together. 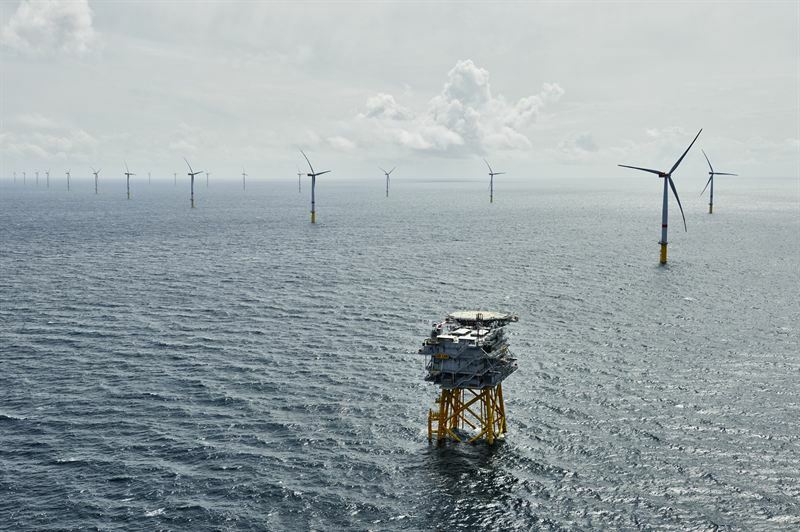 The project gives both companies a combined portfolio of 576 megawatt (MW) of installed capacity, making Vattenfall and Stadtwerke München some of the largest producers of green electricity in the German Bight. “It is our ambition to power climate smarter living and to become CO2 free in one generation. I think the start of Sandbank is a further proof to Vattenfall´s strategy of continuing to push the transformation of our production portfolio towards renewable energies”, says Gunnar Groebler, Senior Vice President of Vattenfall and Head of Business Area Wind. The construction start of Sandbank on the high seas took place in summer 2015. Wind power is the fastest growing energy source in Europe and plays a key role in the achievement of the European Union's climate goals. Sandbank annually avoids more than 700,000 tonnes of CO2 emissions. "Sandbank is another major project of our Renewable Energies Expansion Campaign. It brings us a great step closer to our goal of 100 percent green electricity for Munich by 2025. I would like to thank all those who have contributed to the development of this powerful eco-power plant”, says Dr. Florian Bieberbach, SWM’s Chief Executive Officer. “Both companies and the entire Sandbank team has done a great job. That is also reflected by the fact that the wind farm construction could be finished three months earlier than originally planned”, says Gunnar Groebler. The investment costs for the Sandbank offshore wind farm are around EUR 1.2 billion. Vattenfall holds a 51% stake in Sandbank Offshore GmbH, which was set up to implement the project, while Stadtwerke München holds a 49% stake.